This episode we bring you Brian Evenson, reading his short story "Younger" from his collection Fugue State, out in July from Coffee House Press. Brian Evenson's writing might be compared to Gordon Lish, for its elegant simplicity and lush psychology, or Raymond Carver in his desolation. 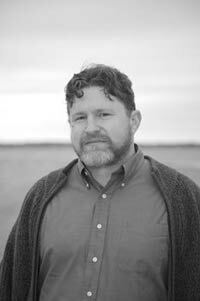 But the fact is that Brian Evenson's work is only familiar because it sounds exactly like life, and it is frightening because, like life, it points beyond us to what we know is true, but cannot understand. Please enjoy "Younger" by Brian Evenson. For more, read Brian Evenson's Apostrophe Cast Interview and visit his website.